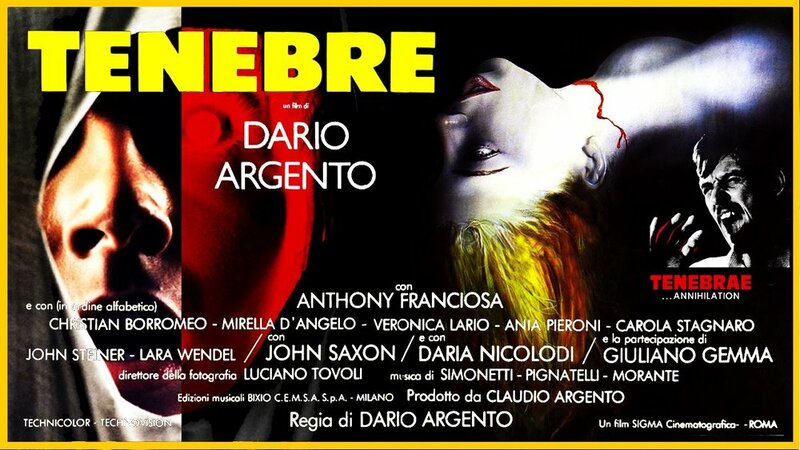 Tenebre is a graphic slasher horror film from writer and director, Dario Argento. The movie was produced by his brothers, Claudio and Salvatore Argento. And it was released by Sigma Cinematografica on October 28th, 1982. Tenebre stars Italian and American actors; Anthony Franciosa, John Saxon, Daria Nicolodi, John Steiner, Veronica Lario and Mirella D'Angelo. It had also spent time on the United Kingdom’s Video Nasties list and was banned in that country until 1999. Peter Neil is an American horror author vacationing in Italy. He has recently written a book called Tenebre, that someone is using as inspiration to kill women in Rome. Peter decides to aide the police, and lead Detective Giermani, in finding this sadistic murderer. Only this investigation may take Peter closer to the killer than he may be comfortable with. The story that Dario Argento tells is deep and entertaining. It’s a highly graphic tale with strong aberrant sexuality and brutalistic sensationalized murders. But it’s a story that’s told so well it overshadows every other element in the film, including the acting. Terrible dubbing aside. Most of the actors just aren’t that strong. I liked Anthony Franciosa as the lead. He does a fine job. Not much more than a generic television quality performance, but that’s really all you need. He gets the job done. John Saxon did alright. But he was pretty useless and didn’t factor into the movie much. Dario Argento designed this movie to be a raw and vicious look at the slasher genre. He was a fan of gritty crime shows of the era and wanted to emulate their lighting and structure to really drive home that this is a mystery. He also brought back the black glove motif that we see so prominently in previous giallo films. Fans were excited to see the return of Argento’s more visceral look at serial murder. It’s different from his ghostly features like Inferno or Suspira. 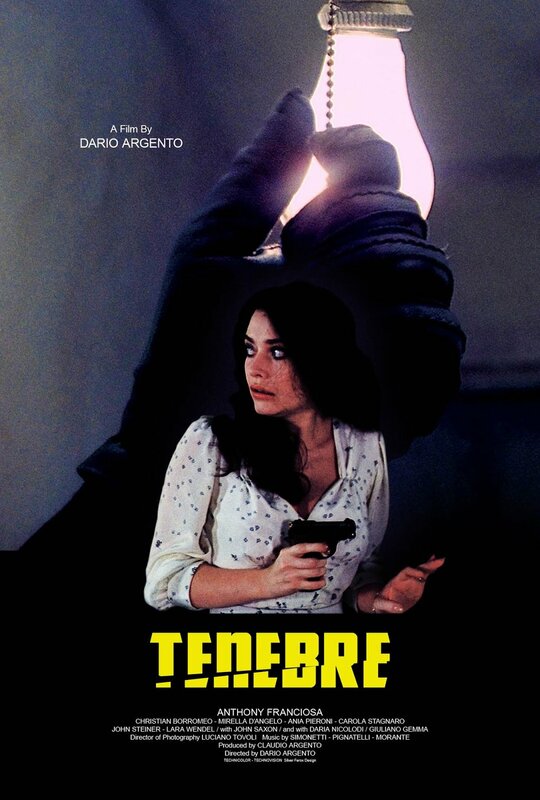 Tenebre sets the focus more on murder than otherworldly, supernatural events. Unlike Argento’s previous films. This was a far more traditional take on the giallo genre. Tenebre is bright and visually loud, compared to the cold and dark narrative presented by heavy mystery of the story. The suspense and chills are all set, keeping you glued on the edge of your seat. But, the viewing also repulses and excites you. It’s strange. This is a grand effort in filmmaking from an Italian horror master. It doesn’t pull punches or use humor to move scenes along. It’s quite serious and almost off-putting, at times it begins feeling like your watching something like Henry: Portrait of a Serial Killer, I Saw the Devil or The Town that Dreaded Sundown. If you like any of those movies, then this is your kind of movie. Check it out.